Originally posted at Nose in a Book (blog)This is the type of book you read and then want to go re-read the main books over again because you missed some major points. This blog is a huge fan of The Hunger Games Trilogy so I was quite excited when I heard that this book was coming out. 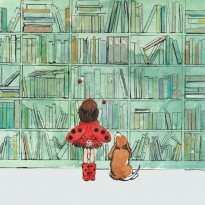 I love and adore books that go deeper into books I have read. Now, yes, I understand all books I read don’t need background and research, but certain books, such as The Hunger Games do.Arrow goes on the path of looking into as much as she can in a short period of time, and yes, she covers a lot. Arrow discusses various different districts, such as 4 and 11, and also discusses gender roles, Panem in general and certain characters such as Cinna. 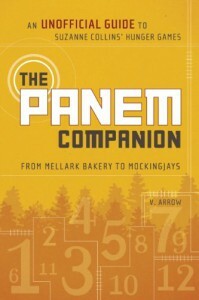 Arrow also includes maps and graphs to keep the reader engaged throughout the book, along with drawing many parallels that may have nothing to do with The Hunger Games but are too similar to not at least discuss.It is clear throughout reading this book that Arrow has a passion for not only pop culture, but also The Hunger Games as a whole. Many reviewers have stated that this book is dry. I think reviewers are overlooking the fact that this is a compelling critical analysis of a book series. Maybe, I’ve read too many boring history textbook in my undergraduate career, but I found this to be a very compelling read. My only pet peeve, and reason I didn’t give this five stars is personal preference. I am not a fan of when authors’ use “I” in professional work; however, Arrow’s writing style and talent almost made me overlook that and give it five stars, because it was that good.